WHAT I LOVE ABOUT THE HOMEâEverything! 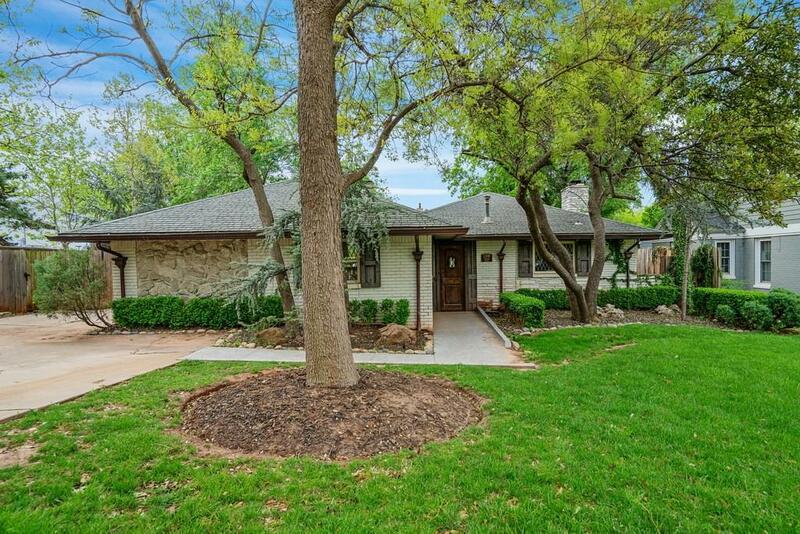 Check out this Nichols Hills bungalow with charming character you will fall in love with. This lovely abode has excellent curb appeal, beautiful trees and mature landscaping. Remodeled traditional interior that offers cozy-cozy living throughout featuring a gas fireplace, built-in cabinets, exposed mahogany beams, can-lighting with dimmers & hard-wood floors-plus new efficient windows & HVAC. The master ensuite has walk-in steam shower, oversized closet, and must have double-sinks. Also included-built-in sound system thru out which makes listening to music or sports easy for game day fun! Perfect for entertaining-home comes fully equipped with a chefâs kitchen, loaded with s/s appliances, pantry, bar seating and granite countertops. A grassy backyard w/irrigation- awaits your family perfect for pets or play, plus a modern stone outdoor kitchen featuring eat-in bar, living space along with fireplace- you will absolutely adore any time of year.